It’s that time of year again where Christmas and the party season ends and the reality of going back to work or the usual routine sets in. 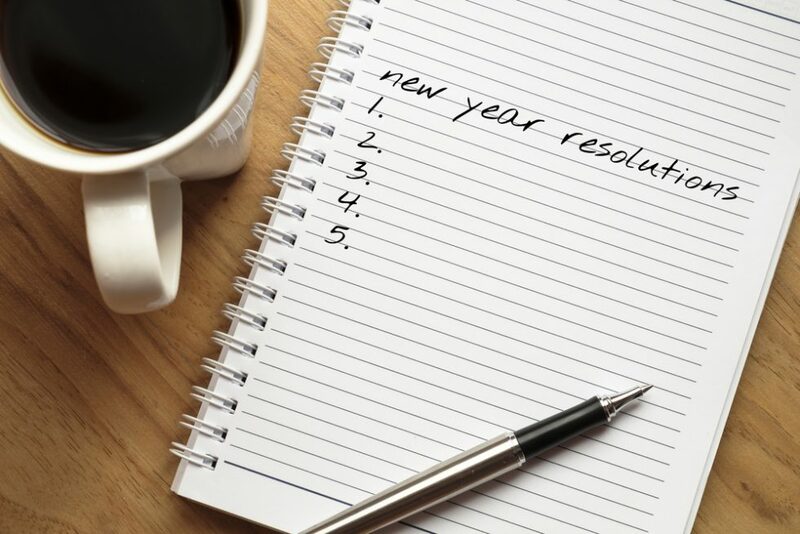 A lot of people decide that this is the perfect opportunity to make some changes in the form of New Year’s resolutions. Anyone who’s failed to keep one will know this perceived failure can often make people feel worse than before they even began as they beat themselves up for not having the willpower/strength or other skill to stick to it. They may even swing the other way and increase their use of food, smoking etc to make themselves feel better. Start small and make it easy on yourself. You don’t have to achieve your end goal now. That way you can avoid the dreaded overwhelm and build at a pace that’s right for you. Also, if it’s too hard too soon you’re going to really struggle to stick to it. Enjoy what you do! It’s important to choose a form or exercise, types of foods etc that you at least like. Otherwise it’ll just get harder to force yourself to do it each time. Get support- be it family, friends or professional. We all need someone from time to time to keep us accountable and on track. After all it’s a lot harder to make excuses to someone else! If you’d like a free 7-day email course on getting ready to lose weight or a leaflet on how to get ready to quit smoking drop me a line at hypnoswellbeing.com with either Fit Mind: Fit Body course or Smoking leaflet in the message. All the best for a happy, healthy and successful 2018 to you all!